The National Preparedness Month Social Media Toolkit has key marketing and preparedness messaging you can print or share on your social media channels to spread the word to colleagues, family and friends throughout the month of September and beyond! You can either copy these messages directly or customize them to reach your audience. Honor 9/11 by Getting involved in your community & planning with neighbors. Check out tips and ideas to promote preparedness content. For more engaging content, attach graphics that are sized appropriately for specific social media posts (i.e. Twitter & Facebook). Copy and share our web content; just reference the Ready Campaign or America’s PrepareAthon! as the source. This content can be used on various social media channels, and is less than 140 characters. Contact family and friends before, during, and after an emergency. Prepare for the unique needs of your family members, friends and neighbors. First week of #NatlPrep month is about getting all generations prepared. Anyone aged 2-102 should be ready for disasters! Understand the importance of community preparedness. Get involved with your community organization or plan with neighbors. Highlight local preparedness efforts in your community. Celebrate emergency-focused organizations who serve communities. Be aware of specific needs you may have if an emergency strikes like: medication, power needs, eye classes, devices that you may count on, pet needs, etc. 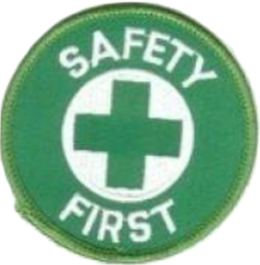 Understand safety tips and protective actions you can take before or during a disaster. 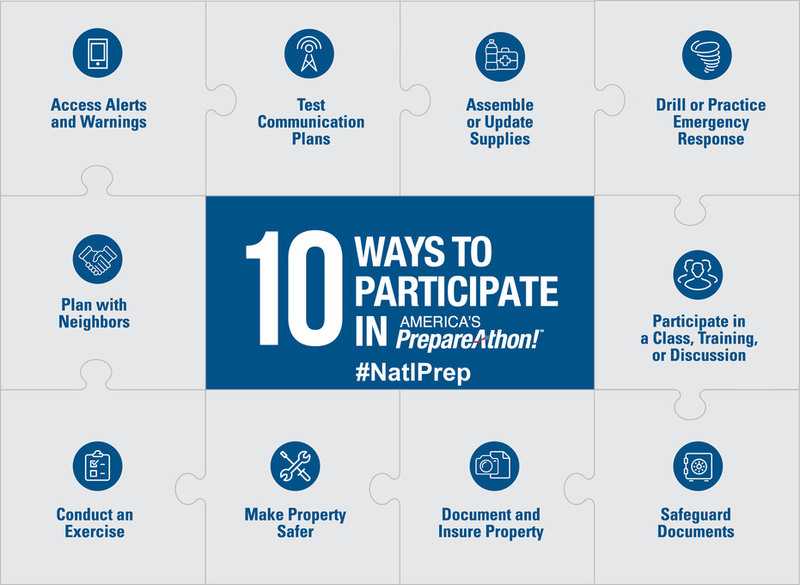 Participate in National PrepareAthon! Day on September 30. Add your preparedness activity to www.ready.gov/prepare. Encourage others to do a preparedness activity and register it on www.ready.gov/prepare. Share images of you and your community doing a preparedness activity. Share stories of how being prepared made a difference using #PrepareAthon. National #PrepareAthon Day is Sept. 30. What are you doing to prepare? Use #PrepareAthon to share how you’re getting your community involved in preparedness. How has preparing made a difference in your life and/or community? Tell us your #PrepareAthon story! A community in action tends to stay in action. Share your story about taking action for emergencies using #PrepareAthon. Built an emergency kit? Created a family communications plan? Tell others what you did using #PrepareAthon. I participated in America’s #PrepareAthon so my community can be prepared for emergencies. Have you taken action? Tell others what you did to prepare for emergencies and how it made a difference using #PrepareAthon. Re-tweet this! I’m involved in today’s National #PrepareAthon! Day: www.ready.gov/prepare.